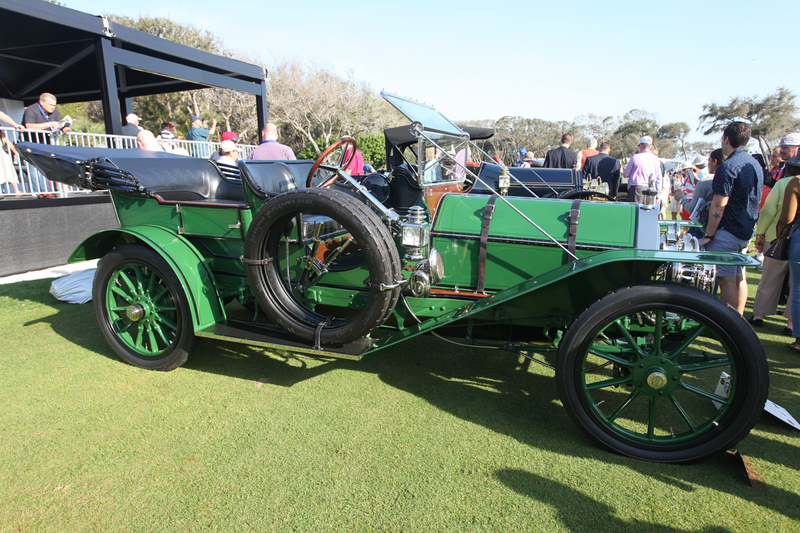 This is the 24th time there has been a concours on Amelia Island, and they just keep getting better and better. 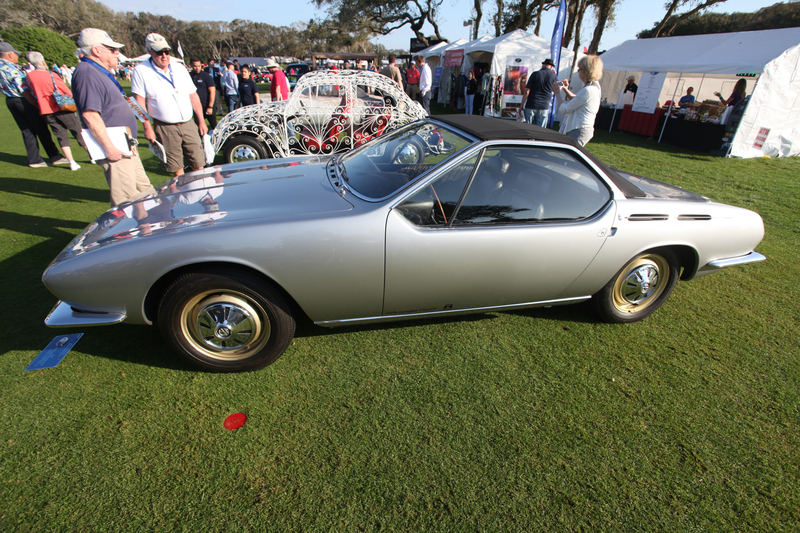 The Amelia Island Concours d’Elegance is right at the top of the must do list of concours, both for entrants and spectators. There have been comparisons and contrasts with Pebble Beach, but the two shows are different enough that those just don’t work. Just accept that Pebble is the best of the west, and Amelia is the best of the east. 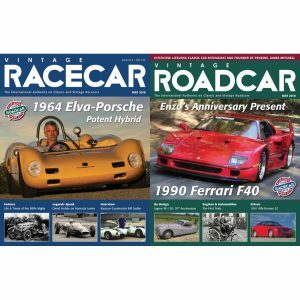 There are other prestigious concours, as you have seen and will see covered in this magazine, but Amelia just overwhelms the others simply because the size of the field allows so much diversity. 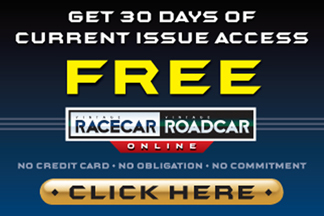 This year, for example, there was a class for Ferrari 250 Short Wheelbase cars, and 14 were entered. 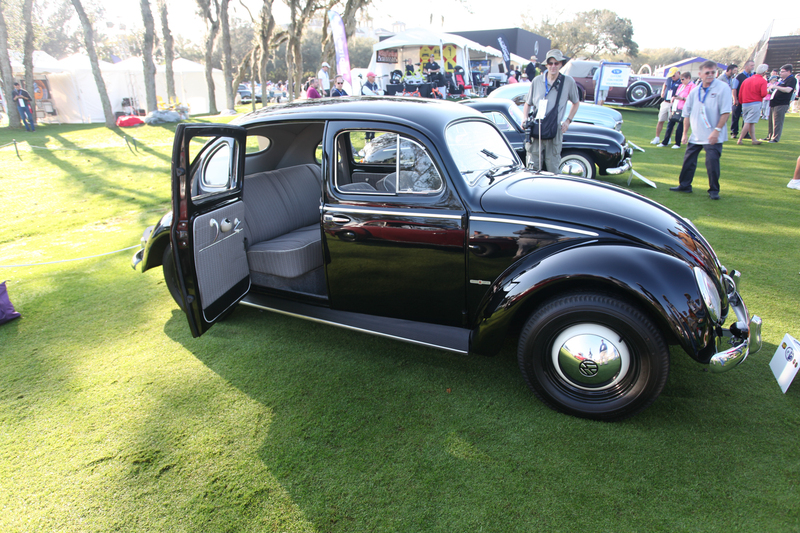 At the other end of the spectrum was a Volkswagen class, including coachbuilt VWs. 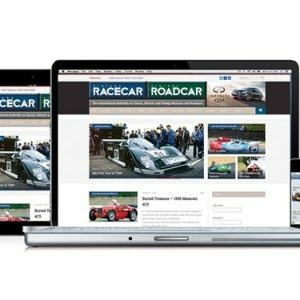 A class for Jaguar 120s included some spectacular cars. 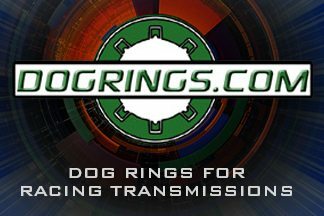 There was little concern about aerodynamics when Don Garlits ran Swamp Rat XIII. It was all about power. A half dozen Mercedes 540Ks were displayed in a row. 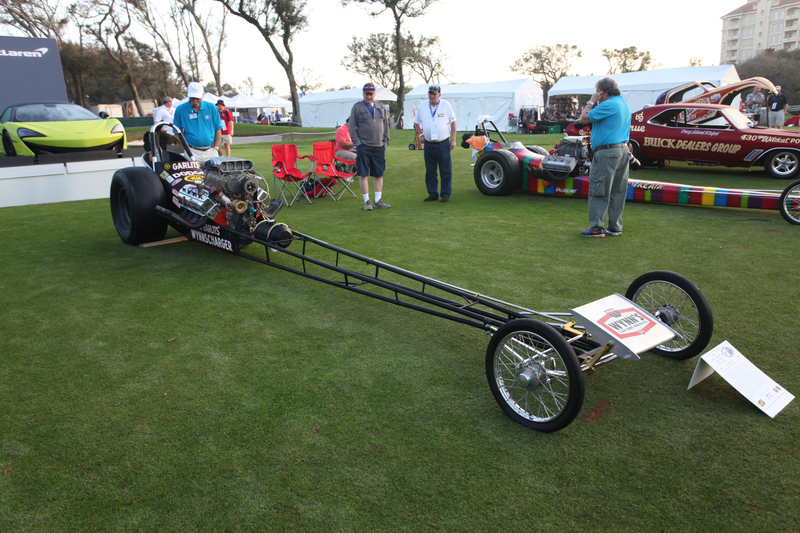 Drag racecars, including Don Garlits’ Swamp Rat XIII – you should have heard it when they lit them up all together. 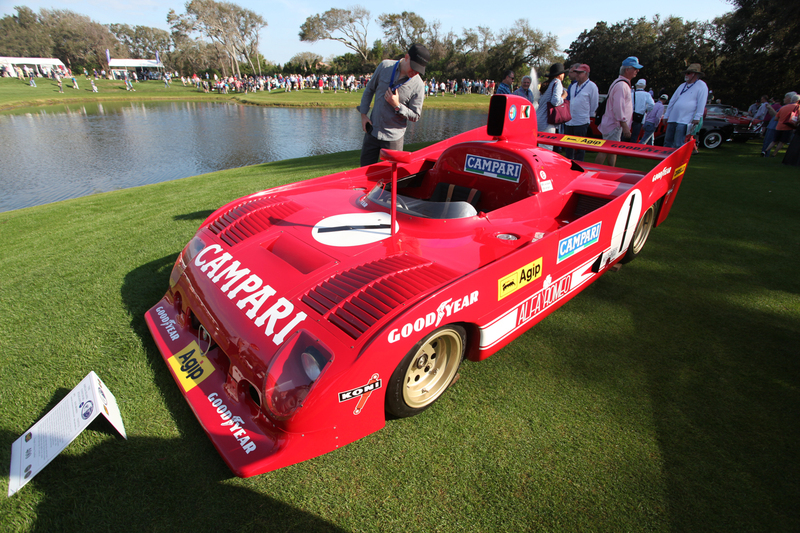 Cars that Jacky Ickx drove were shown; Ickx was honored at this year’s concours. 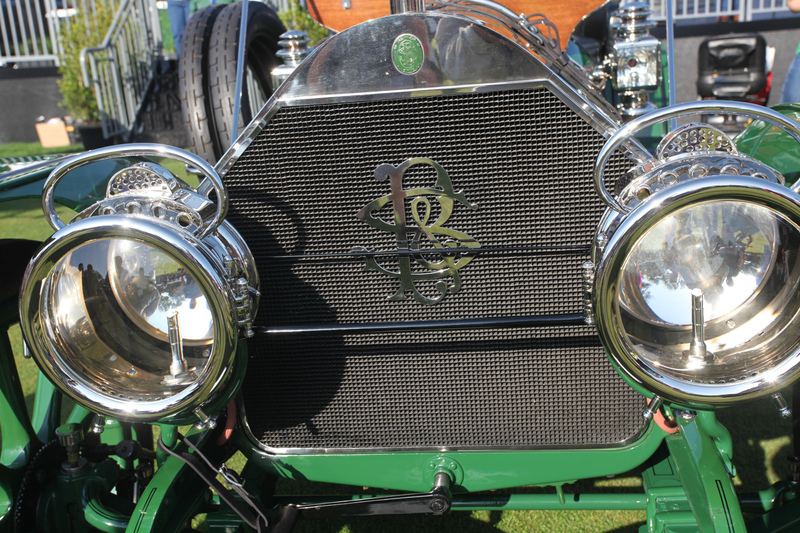 There were four Isotta Fraschinis on the field. Four! 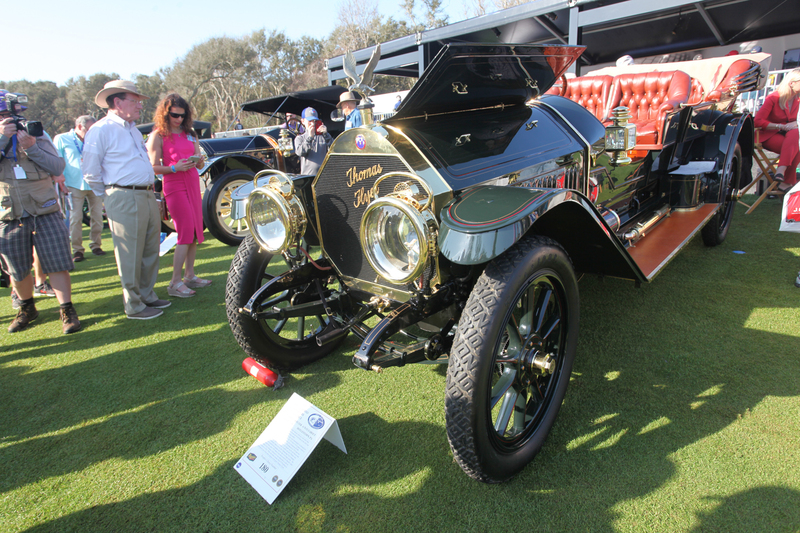 In 1929, and Isotta cost $22,000, and the company would only accept payment in gold. 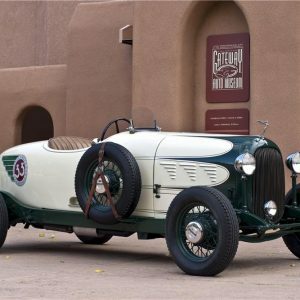 Indy cars – from a 1914 Peugeot to a 1994 Penske PC-23, and a number of very interesting cars in between. Porsche 962s stretching into the distance. Remember when you could buy a car or a house out of the Sears catalog? Neither do I, but there was a 1908 Sears on display, along with a 1903 Holsman and a 1904 Success. 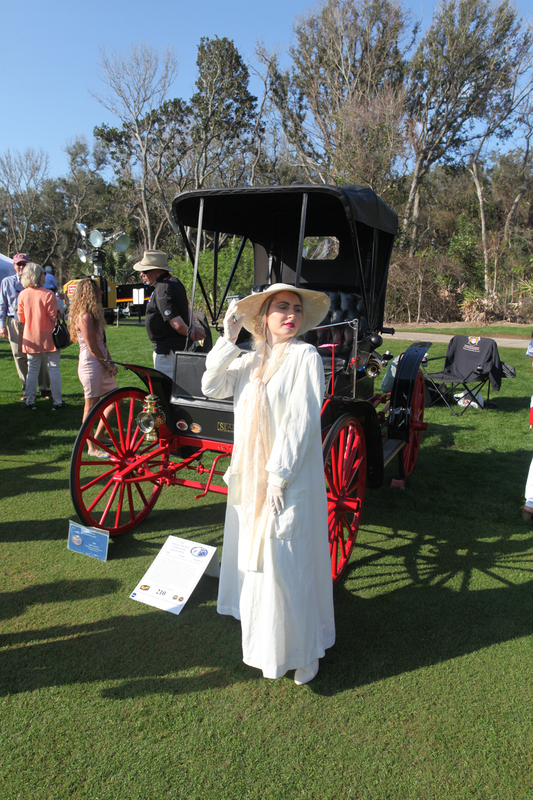 Posing with the 1908 Sears Model J.
Amelia is a wonderful confusion of incredible cars – over 300 of them. That number doesn’t account for the ones not in the concours. 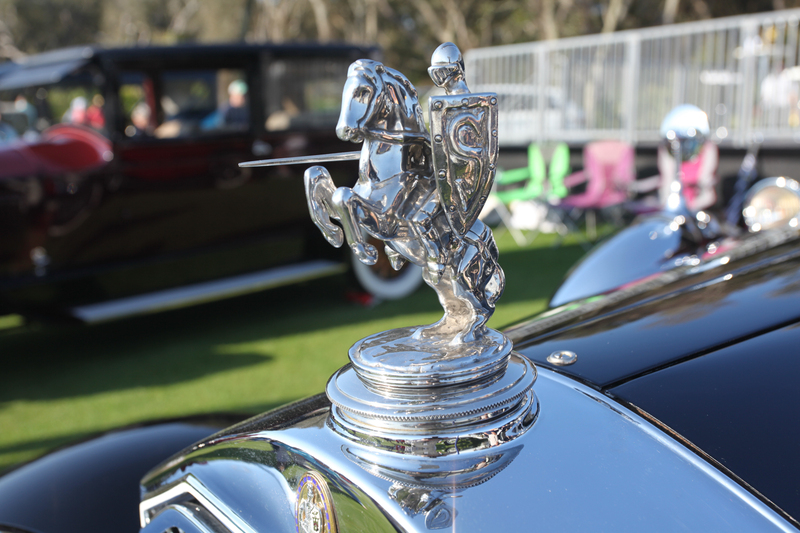 Cars & Coffee on Saturday draws a full field of cars – a couple hundred of them – most of which are driven to the field. 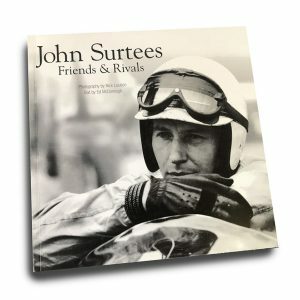 There are auctions starting on Thursday and ending on Saturday, including RM Sotheby’s, Gooding, Russo & Steele, and Bonhams, that are full of interesting cars. Top seller at RM was a Ferrari 275 GTB that went for $2,205,000. 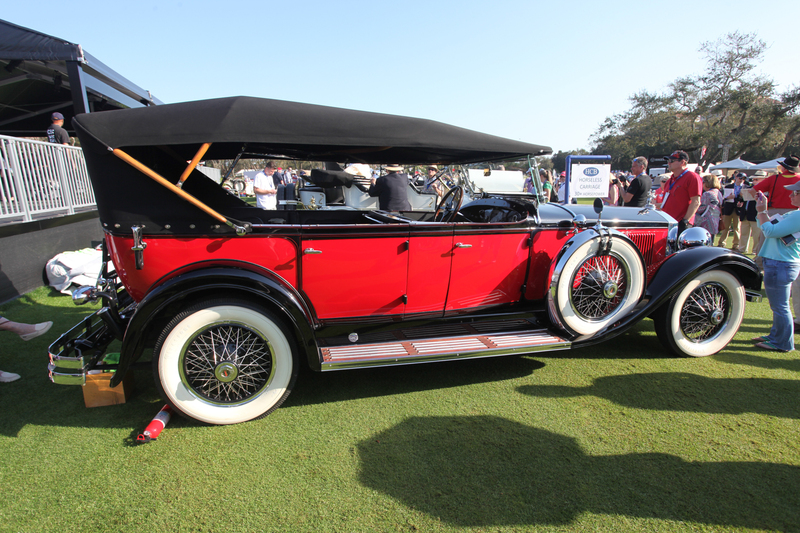 After Boca Raton in February and Amelia Island in March, the concours season moves north as the weather warms. Amelia Island in early March is a very pleasant place. High temperatures in the 70s and a nice breeze blowing off the Atlantic make if comfortable. If you want a break from the cars, you can relax at the pool or walk on the beach. It is a very satisfying place to be, even on the morning after you have to spring forward into Daylight Saving Time. As an Alfista, my favorite car driven by Jacky Ickx had to be the 1975 Alfa Romeo TT33/12. 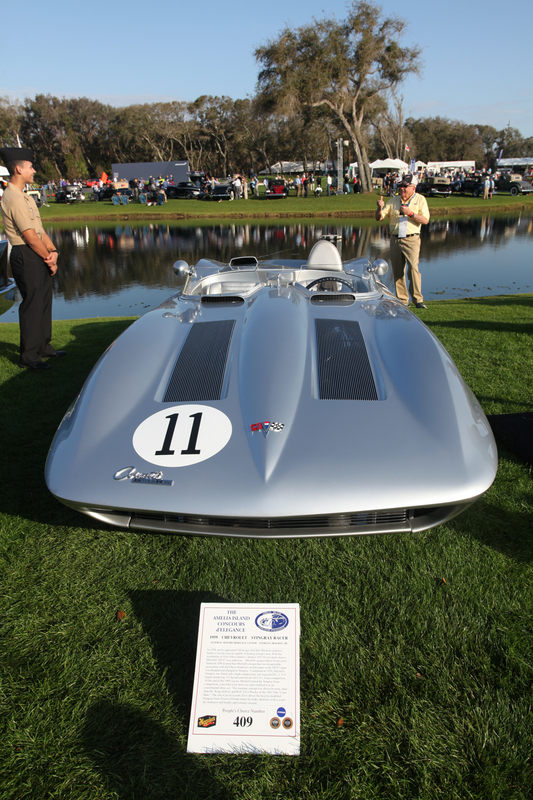 In 1959, design chief Bill Mitchell wanted a car Chevrolet could race, and the result was the Stingray Racer. VW should have built it – 1965 Karmann Ghia Type 1 Concept Car. 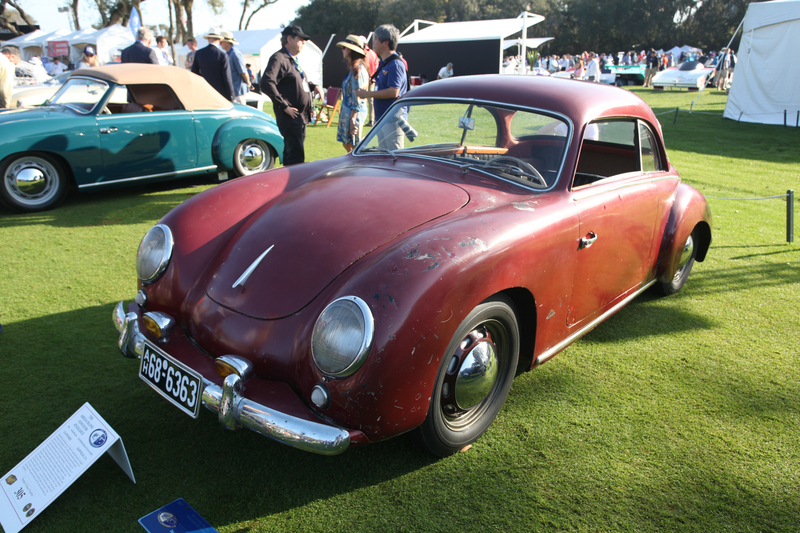 Almost a Porsche – 1954 VW Dannenhauer & Stauss Coupe. 1953 VW Taxi by Karosserie Rometsch. 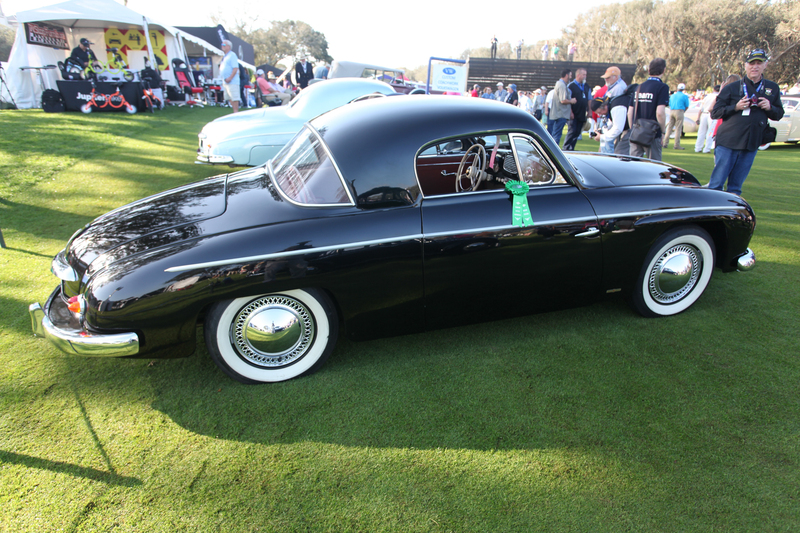 1954 VW Rometsch Beeskow Coupe – another very pretty coachbuilt VW. 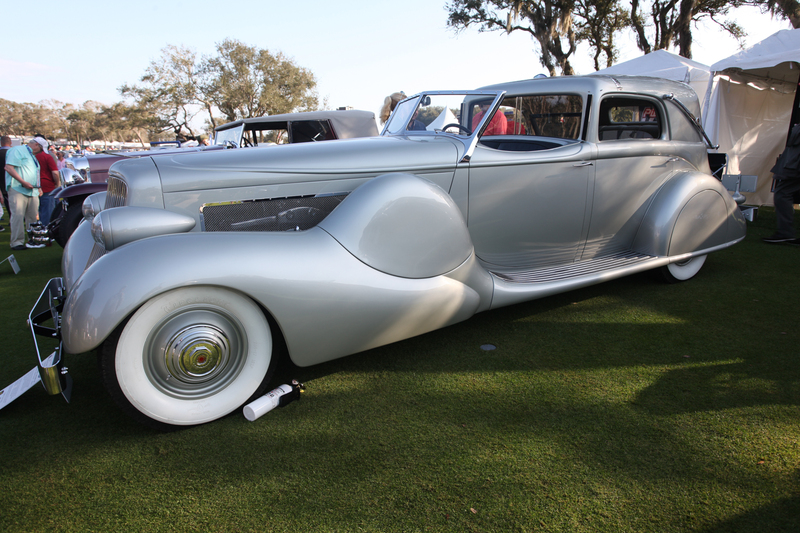 Mae West ordered this 1935 Duesenberg SJ-553 Town Car but changed her mind. It was eventually buoght by Ethel Mars of the Mars Candy Company. 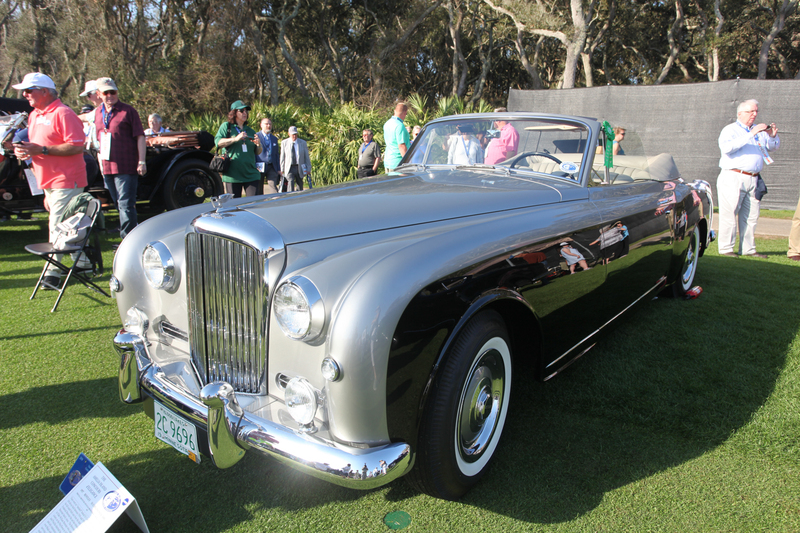 Very pretty 1957 Bentley S1 Continental DHC – won Best in Class Rolls Royce/Bentley. 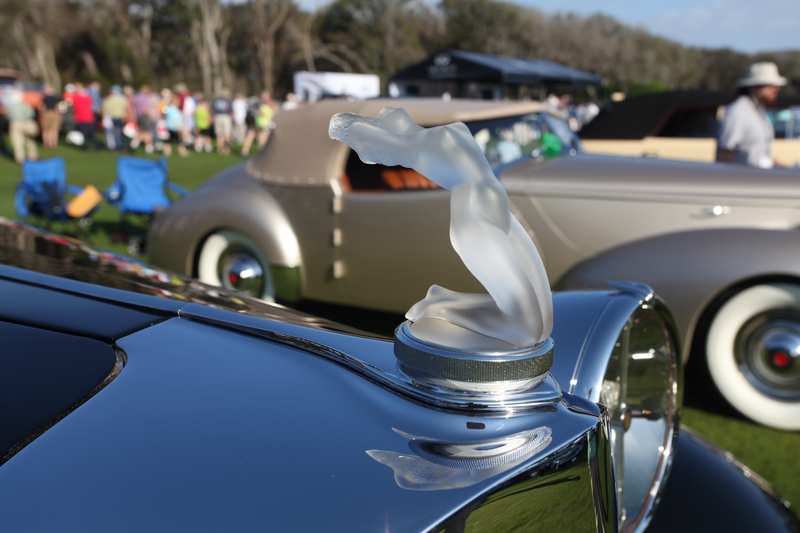 Lalique could get a little racey. 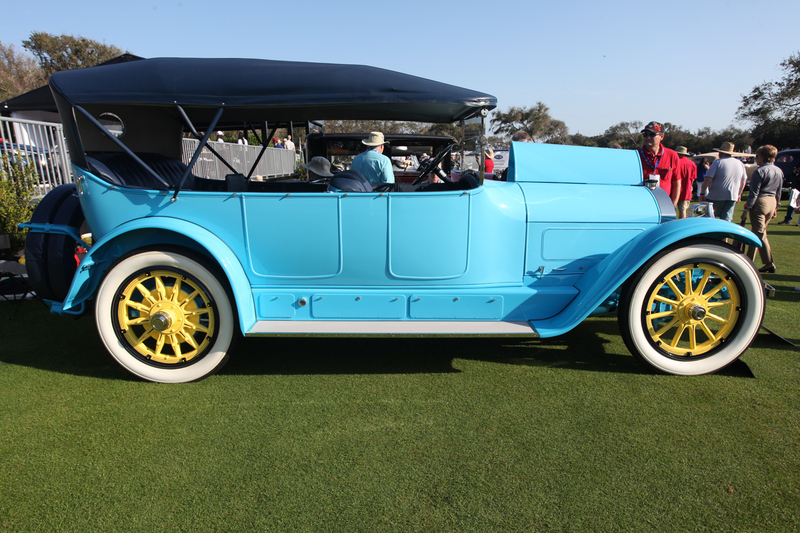 The entire family could go touring in the 1918 Locomobile Model 38, 7-Passenger Touring. 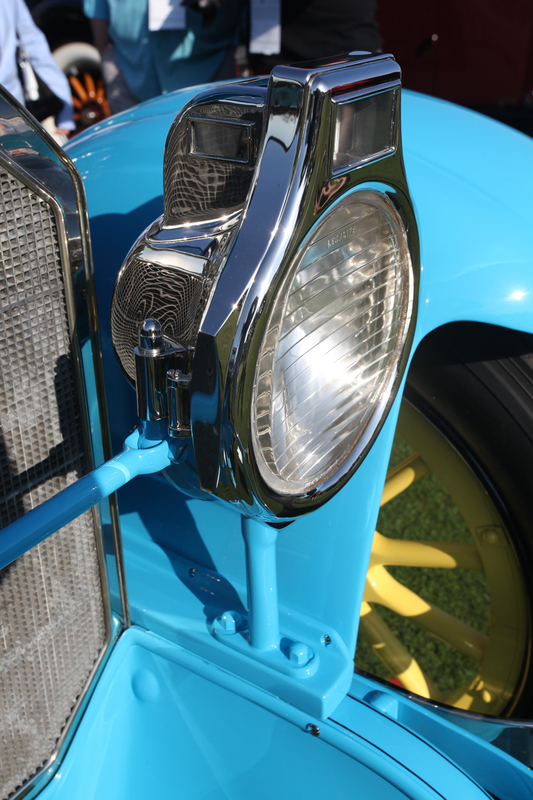 The 1929 Stearns-Knight J-8-90 had a sleeve valve engine, which meant that when it stopped smoking, you were out of oil. 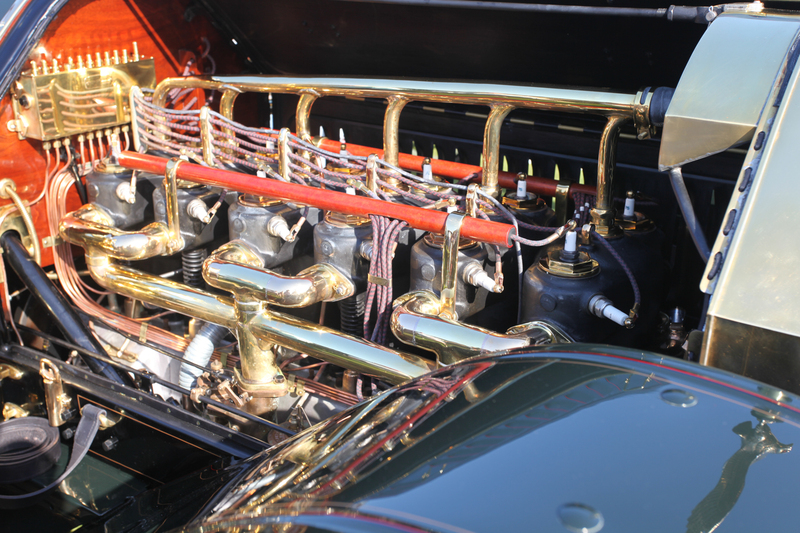 The 1910 Palmer-Singer was a fast car – top speed 85 mph. The mayor of Chattanooga had a fine ride in this 1910 Thomas Flyer 6-70 Flyabout. Because of its large engine, this Thomas Flyer was modified to be a pumper for the Chattanooga Fire Department once the mayor was done with it.